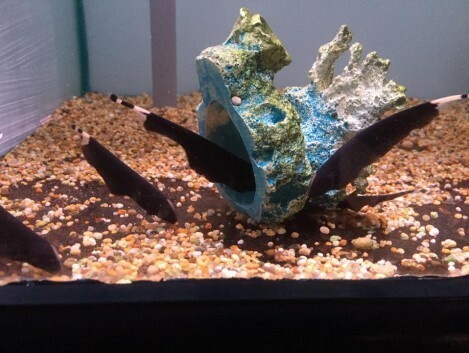 Black ghost knife fish is a member of the Apterontida family its name is the Apteronotus albifrons. The maximum size they can grow is over 30 cm / 12 inches. They are best kept in water parameters of Ph range 6.5 -7.0, and a temperature range of 73-80 °F / 23-27 Celsius. 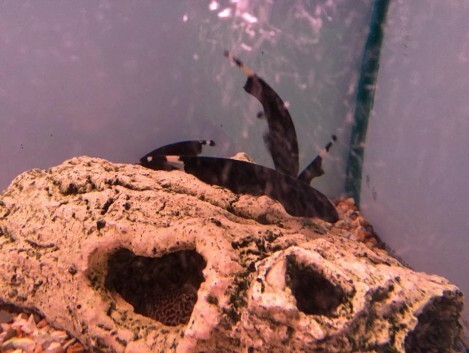 The black ghost knife fish are a semi aggressive fish and they do need to mix with other bigger semi aggressive fish. They possess a weak electrical organ at the caudal peduncles ( this is the narrow part on the fish which the tails is attached to ) which is used to locate food. Do not worry this is not harmful to us. 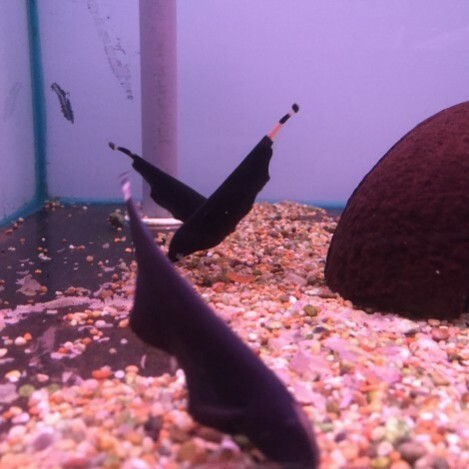 They do eat of the bottom of the tank so feeding them sinking food is best. Frozen food or live food like blood worm is also needed in there diet. 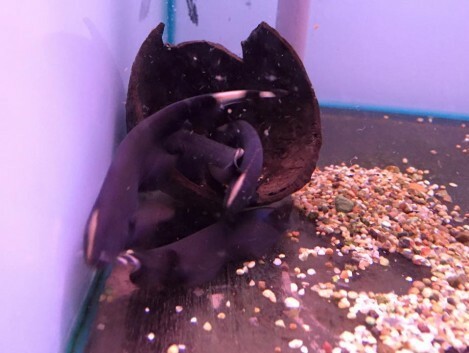 The black ghost knife fish like to hide and they will hide anywhere they can, even the smallest of spaces they will try to get in to. As they like to hid this makes them hard to spot in your tank so a ghost knife tube is handy to use, this is just a clear tube which you can make your self out of clear pipe. They can hide in it and you can still see them. 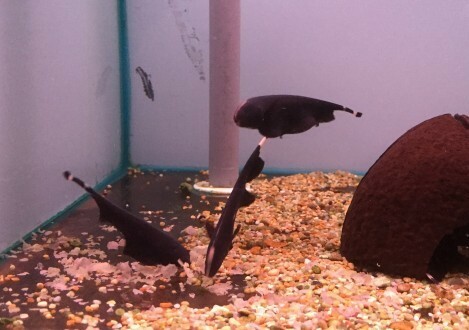 Black ghost knife require sinking food as they are a bottom feeding fish. They can take small or large pieces off food. Feeding live and frozen foods is best for there diet. With black ghost knife we only recommend feeding once a day at the most.